Families at The Hepworth Wakefield01924 247394workChildren's Activity CentreA packed programme of family activities is held on weekends and school holidays at The Hepworth Wakefield. Head to the Learning Studio and make giant sculptures, discover how to carve like Dame Barbara Hepworth or grab an explorer pack and become an art detective. Pick up a free Family Trail from the Information Desk when you arrive and complete as you explore each gallery. Suitable for children aged 6-11. Work together as a family to make something unique, inspired by your favourite pieces of art in the Art Pods in the galleries. Suitable for ages 4 – 12. 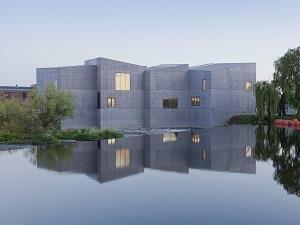 A packed programme of family activities is held on weekends and school holidays at The Hepworth Wakefield. Head to the Learning Studio and make giant sculptures, discover how to carve like Dame Barbara Hepworth or grab an explorer pack and become an art detective. Look out for free drop-in activities during weekends and school holidays. Up to date events will be available through the What’s On link above.